Sony Music Entertainment is proud to announce the release of ‘If I Can Dream: Elvis Presley With The Royal Philharmonic Orchestra’, on 30 October 2015. The remarkable new album features classic Elvis vocal performances with brand-new orchestral accompaniment, along with a duet with Michael Bublé, and appearances by Il Volo and Duane Eddy. Fans in the UK will also be in for an additional treat this Autumn as ITV have commissioned an unique new documentary, ‘Joanna Lumley: Elvis and Me’ where actress Joanna Lumley will embark on a very personal journey for an intimate insight into Elvis Presley, the man behind the myth. The album features a scintillating duet with best-selling jazz-pop singer Michael Bublé on ‘Fever.’ The album also includes additional contributions by Rock and Roll Hall of Fame guitarist Duane Eddy adding his signature sound to ‘An American Trilogy’ and ‘Bridge Over Troubled Water,’ and Italian operatic pop trio Il Volo lending their outstanding vocals to ‘It’s Now or Never.’ As co-producer Nick Patrick said, “This is the record he would have loved to make.” If I Can Dream also highlights Elvis Presley’s diverse musical tastes and appreciation for great vocalists spanning a variety of genres from standards to opera. ‘Joanna Lumley: Elvis and Me’ on ITV is an hour-long programme which will see Joanna Lumley travel to Graceland and meet some of Elvis’ closest surviving friends and family, for an honest portrait of what ‘The King’ was really like. Joanna exclusively joins Priscilla Presley at Abbey Road Studio during the recording of If I Can Dream. 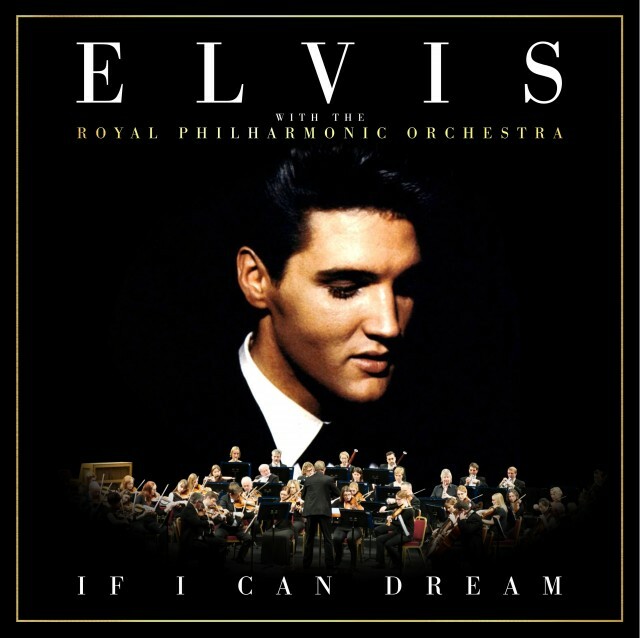 If I Can Dream is part of the ongoing ELVIS 80th Birthday Celebration in 2015, which has been commemorated with a newly-redesigned website, www.ElvisTheMusic.com, the release of The Complete ’60s Albums Collection Vol. 1 and Vol. 2 on iTunes (7 August), and the launch of “Direct From Graceland: Elvis at the O2,” the largest Elvis retrospective ever mounted in Europe.